NY SME encourages all to join the Sponsors. Welcome first time visitors. Share this announcement about CTMF 2019 with others. NY SME thanks Shearman & Sterling LLP for hosting SME's CTMF conference again. Shearman & Sterling is a global law firm highly regarded in the mining and metals industry. Major, mid-tier and junior corporates, international financial institutions, private equity funds, other alternative financiers and governmental entities look to the firm for assistance on important and complex transactions. BNP Paribas Corporate & Institutional Banking a global leader in 57 countries offering 13,000 corporate and institutional clients capital markets, securities services, financing, treasury and advisory solutions. RPA - Roscoe Postle Associates is a global mining consultant with offices in Canada, the USA and United Kingdom. RPA provides services to the mining industry at all stages of project development from exploration and resource evaluation through scoping, pre-feasibility and feasibility studies, financing, permitting, construction, operation, closure and rehabilitation. RPA advises major mining companies, mid-caps, junior mining and exploration companies, financial institutions, governments, law firms, and individual investors on the technical and commercial aspects of mineral property investment and development. NY SME also thanks RPM Global that provides data with context, transforming mining operations globally. 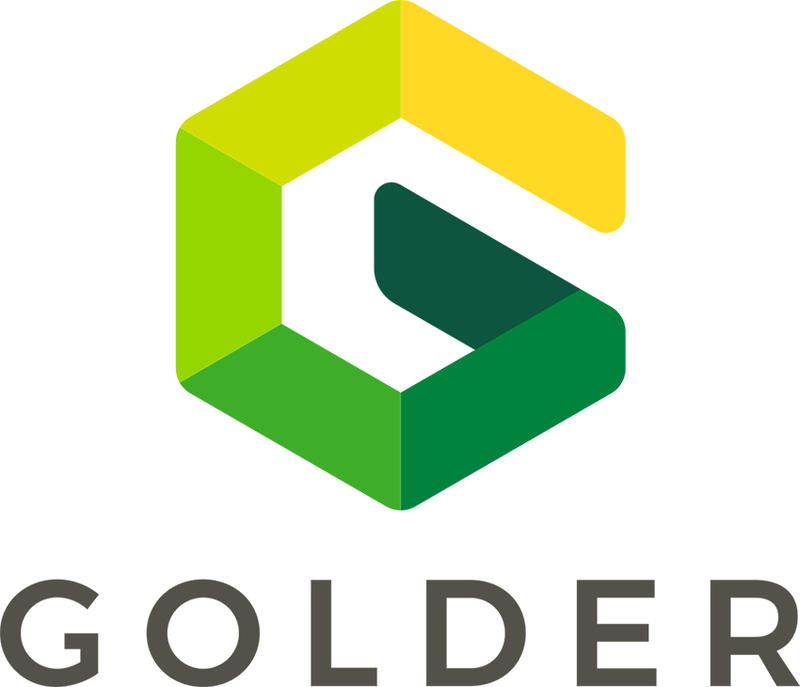 It employs an enterprise approach, built on open industry standards, delivers the leading digital platform that connects the systems and information seamlessly, amplifying decision-making across the mining value chain. RPMGlobal integrates the planning and scheduling, with maintenance and execution, and simulation and costings, on RPM’s Enterprise Planning Framework, the mining industry’s only digital platform that delivers insight and control across these core processes. NY SME thanks the New York Marriott East Side Hotel for its support and hosting the Sunday April 28 afternoon Workshops and Welcome Reception and the Monday April 29 Evening Reception. NY SME thanks all of the sponsors and supporters who make it possible for all to meet at CTMF! NY SME also thanks these supporters: Society for Mining, Metallurgy & Exploration, Inc. (SME) www.smenet.org, the American Exploration and Mining Association (AEMA) www.miningamerica.org, International Precious Metals Institute (IPMI) www.ipmi.org, and Mining and Metallurgical Society of America (MMSA) www.mmsa.net. All levels of support help make the event possible. Thank you! At CTMF 2018 were more than 290 leading experts and senior banker, investor, private equity executives, analysts, advisers, engineers and officials from Australia, Canada, Germany, Mexico, Quebec as well as officers from more than 42 mining and exploration companies. More than 65% of attendees fly to New York. Delegates attending were from more than 21 countries including Argentina, Australia, Bolivia, Brazil, Canada, Chile, China, Colombia, Germany, Ghana, India, Japan, Kosovo, Mexico, Peru, Portugal, South Africa, Spain, Turkey, the United Kingdom and Uruguay. Titles of attendees include: CEO, President, Partner, Executive Director, Project Manager, Banker, VP, Engineering & Development, Corporate Finance Specialist, CFO, Treasurer, Consultant, Managing Director, Geologist, Corporate Strategist, Investor, Environmental Specialist, Engineer, Mining Engineer, Lawyer, Financial Analyst, Accountant, Portfolio Manager, Controller, CTO - Chief Technology Officer, Global Leaders of Mining and Natural Resources, Founder and Community Engagement, Economic Geologist, and Investor Relations Officer. Register to attend the conference, any workshop and or reception. All must register in advance. Space is limited. Registration closed early in 2018 and 2017. Share this announcement about CTMF 2019 with others. We hope to see you there! 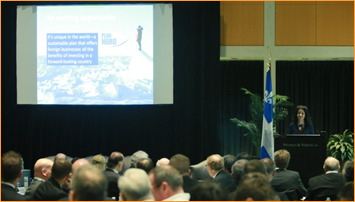 Shown below is Quebec's Minister of Economy, Science and Innovation Dominique Anglade presenting a keynote address about Quebec: A Premier Global Center of Mining, Technology and Innovation NY SME thanks Quebec for its support and participation of its delegation in 2016 and 2017 when Minister Anglade spoke of investment programs and partnerships Quebec is championing with leading, innovative mining, technology et al companies and projects.